Follow the law. A leader with wisdom can keep order. Don’t take advantage of others. Confess your sins and you’ll find mercy. Hard workers are rewarded. Those who trust the Lord will prosper. Give to the poor, and you’ll lack nothing. A wise man keeps himself under control. Evil doers hate men of integrity. Punishment teaches your wisdom. Blessed are law-keepers. The Lord administers justice. Don’t speak in haste. The humbled are honored. 9) Personal Question. My answer: A leader must be just, listen to the truth, and judge fairly. This is more in the realm of my kids than anything. A leader has to gather all the facts before making a judgement and surround himself or herself with valued advisors, or a core group of Christian friends in our book. 10) Personal Question. My answer: Don’t take advantage of others to gain wealth. Hard work leads to wealth. Give to the poor, and you’ll lack nothing. Don’t be stingy. If you trust in the Lord, you’ll prosper. If you’re faithful, you’ll be blessed. I need to give more to worthy causes and to the poor and trust more in the Lord, so I’ll prosper. And I can be stingy at times. 11) Personal Question. My answer: The righteous are bold. The righteous thrive when the wicked perish. The righteous sing and rejoice and care about justice for the poor. The righteous detest the dishonest; the wicked detest the upright people. In essence, God will handle the wicked, so we don’t need to fret about them. This lesson was a big “what did you learn” with no real tie back to Solomon’s reign where we left off, besides this is his advice. It was too much to take in, and I had a hard time doing so. Proverbs 28:1: The wicked, prompted by a guilty conscience or a fear of judgment, become fearful and suspicious of everyone. Proverbs 28:2: Many rulers speak of how a large, complex, and multi-layered government can be a curse to a people. Proverbs 28:3: There are poor who oppress the poor. Man’s nature doesn’t change just because of how much money you have in your pocket. Proverbs 28:4: As the Apostle Paul would later explain in Romans 13:1-7, one reason God gives law and government to men is to restrain the wicked. 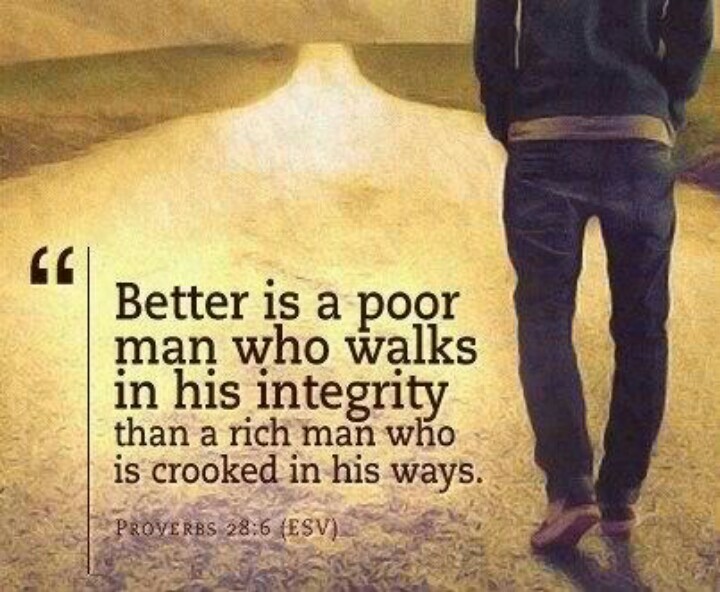 Proverbs 28:6: There are worse things than poverty, and to live without integrity is worse. We are defined more by our character than our bank account. Proverbs 28:7: Just being a companion to a glutton makes you guilty as well. Choose your friends wisely. Proverbs 28:9: God is not bound to hear or honor the one who neglects His word. Proverbs 28:10: There are those who take pleasure in causing the godly to go astray. Proverbs 28:11: There are some lessons only poverty can teach, and one should never forget those lessons, even if he or she becomes wealthy. Proverbs 28:12: Examples of this include: Moses fled and hid himself from Pharaoh, David from Saul, Eliah from Ahab, Obadiah’s clients from Jezebel, Jeremiah from Jehoiakim, Joseph and the child Jesus from Herod. With schemes to evade responsibility. The path to receiving God’s mercy is to confess and repent (forsake) our sin. This is the way to prosper spiritual and in life in general and receive God’s mercy. The Biblical practice of confessing sin can free us from the heavy burdens (spiritual and physical, as in James 5:16) of unresolved sin, and it can remove hindrances to the work of the Holy Spirit. It is a tragedy when the confession of sin is neglected or ignored among believers, and a cause of much spiritual weakness and hypocrisy. Proverbs 28:17: People need to suffer the consequences of their sin. Proverbs 28:18: Under the Old Covenant, God’s blessing and protection was upon those who walk blamelessly. The one who is twisted and crooked in his dealings can’t expect God’s blessing and protection. That crooked, twisted person should expect to suddenly fall one day. Proverbs 28:20: Proverbs always rejects greed. The one who hastens to be rich is almost always willing to cheat or compromise to gain wealth. Proverbs 28:21: Don’t bribe others. Proverbs 28: 24: Examples of those who robbed parents in the Bible: Micah robbed mother of her gold; [Judges 17:2] as Rachel robbed her father of his gods; as Absalom robbed his father, David, of his crown. 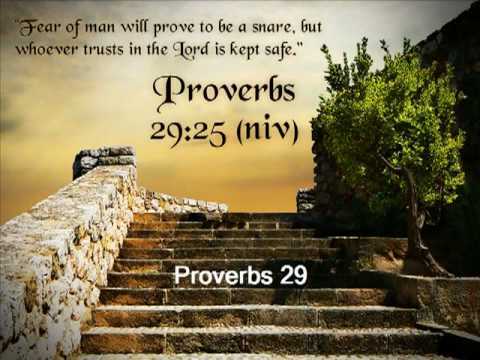 Proverbs 28:25: Greedy is rendered proud in original translations. The proud demand attention and thus cause strife. Proverbs 28:26: Today’s society is always telling us to “follow our heart” instead of following God’s values, morals, and wisdom. We are a fool if we do. We need to look to the Lord, not ourselves. Proverbs 29:1: As in many places in the Bible, the hard neck is used as a figure of speech to speak of the stubborn attitude that resists and disobeys God. This proverb speaks about the man who is often rebuked but doesn’t listen to the rebuke; instead he hardens his neck. Proverbs 29:4: A nation can only expect strength and progress when it is ruled with justice. Bribes destroy the foundations of fairness and equality before the law, allowing the rich and devious to prosper. Proverbs 29:5: A flatterer does not flatter to please you, but to deceive you and profit himself. Proverbs 29:8: Mockers are so settled in their combative, cynical rejection of God and His wisdom that they may bring the judgment of God and fury of man against their own city. Proverbs 29:11: Anger will destroy you before it destroys anyone else. Proverbs 29:13: God gives some kind of light, some kind of revelation in creation and conscience, to every person (Romans 1:19-21). One may obey or reject God’s message in that light, but God gives light to the eyes of both. Proverbs 29:15: We learn through correction. Proverbs 29:18: The revelation in mind here is not the spontaneous word from a purported prophet. It is God’s great revelation, His revealed word through the Hebrew prophets and later the apostles and prophets who gave us the New Testament. When God’s word is unavailable or rejected, the people cast off restraint. They no longer have a standard greater than they own feelings or current opinions. Proverbs 29:19: This refers to someone of menial service who has slave-like mentality that can’t be lifted above his or her present misery. That person is unlikely to be corrected by mere words. Tough life experience and discipline will be more likely to teach them. Proverbs 29:20: Fools speak hastily. Proverbs 29:21: The one who pampers his servant will make the servant so attached to him that he will end up with another obligation and another person who expects an inheritance. Proverbs 29:24: To partner with a thief is to reject wisdom and embrace folly. The one who steals from others will steal from you, and perhaps with violence threatening your own life. Proverbs 25-26: Many worry far too much about what people think, instead of first being concerned about what God and wisdom say, and what integrity would lead them to do. The ‘fear of man’ describes any situation in which one is anxious about not offending another person. We are called to do what is right. Saul, Aaron, and Peter are examples of men who were stained by the fear of man. 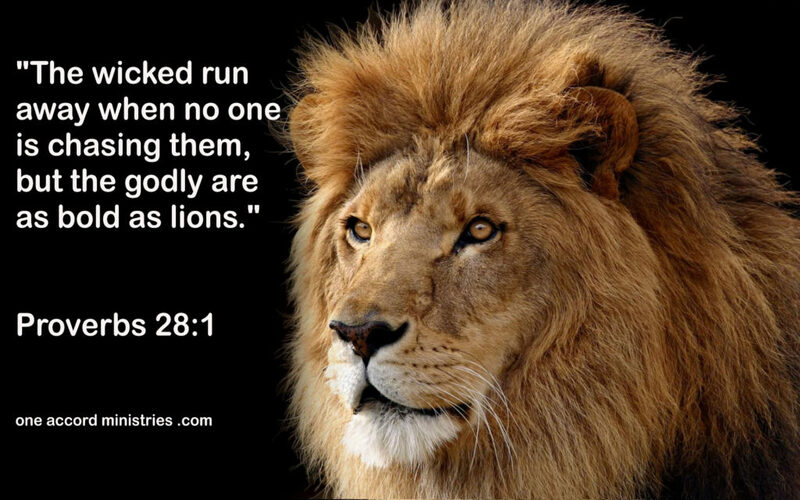 Proverbs 29:27: The righteous life is an unwelcome rebuke to the wicked.